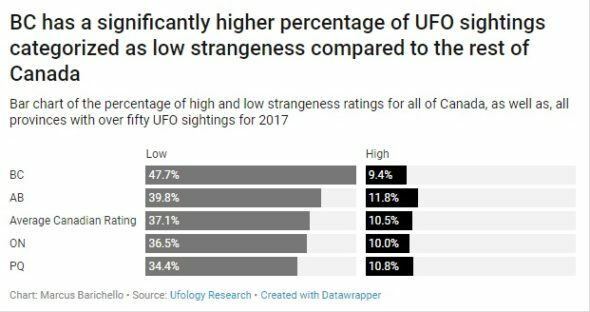 In the 2017 Canadian UFO Survey, B.C. has the highest percentage of “high reliable” UFO sightings among provinces with over 50 annual sightings. Out of the 128 sightings in British Columbia last year, nearly 10 per cent were categorized as high reliable sightings, which is five per cent higher than the national average. The information in this survey was gathered by Ufology Research, a Manitoba-based research group. The organization looks at sources such as “online UFO organizations, government files, direct witness reports, media, and some internet posts” and compiles the information into an annual report for the public to peruse. The reliability ratings offered in the survey do not confirm that unidentified flying objects were spotted in the sky. Instead, the reliability rating “measures the confidence in the quality of a UFO report.” This means that a high reliable sighting (with a 7-9 rating) has more confirming evidence that the actual sighting took place, such as quality video, photographs, or reports made to investigators. 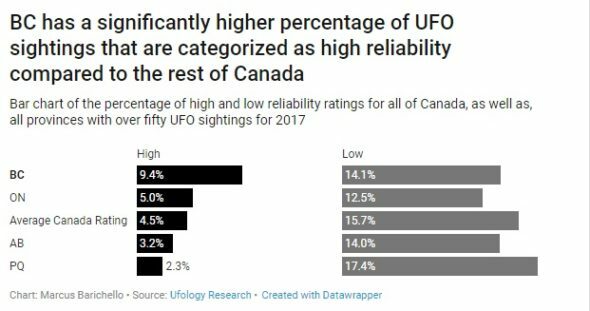 A low reliable sighting (rated 1-3) has less confirming evidence, such as “an anonymous email or voice message describing a UFO sighting.” Most provinces tend to have a low reliability rating around 15 per cent. Charles Lamoureux, an astronomy enthusiast and skywatcher of over nine years, believes that the communities in B.C. are the primary reason for the high rating of UFO sightings there. 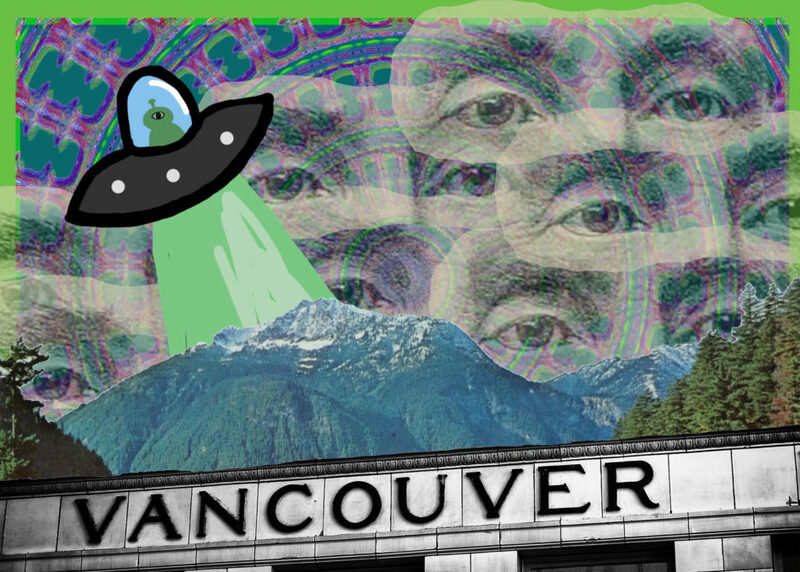 Chris Rutkowski, a science writer and coordinator of the annual Canadian UFO Survey, is skeptical of the high percentage, but admits that B.C. does have an active UFO hunting community. Lamoureux believes that low reliable sightings are largely a result of ignorance. The survey also rates each sighting on a strangeness level, which measures how unusual the characteristics of the sighting are. B.C. also has a high percentage of low strangeness sightings, with nearly half of all sightings in the province categorized as low strangeness (rated 1-3). Unlike Rutkowski, Lamoureux doesn’t believe that most of the results of the survey are important and he no longer reports any of his findings to Ufology Research. When asked if there were other reasons why Lamoureux no longer reports his sightings, he claimed that some members of Ufology Research are biased. The only true way to find an answer for what’s out there is to continue looking up at the night sky.